With my head full of beautiful images of Vigeland Sculpture Park (see Travelstripe’s previous post), with my heart bursting with emotion, my notebook crammed with jottings and my camera charged with photos, I board the bus for the next Oslo wonder. How could it better than Vigeland Sculpture, I wonder? 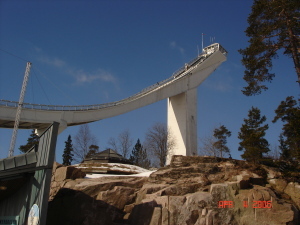 We climb into the hills for a brief look at the Holmenkollen ski park, site of the erstwhile Winter Olympics. The Holmenkollen Museum shows 4000 years of ski history which, even if you’re not a skier, or even a snow person, is fascinating. While the intrepid brave the simulator to experience a leap from the towering Olympic ski jump, I sit in the sunshine and listen to the shouts and laughter of the skiers whizzing down the slopes below. 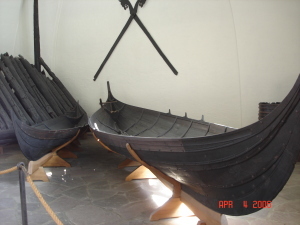 Next stop is the Viking Ship Museum. The ships displayed here were unearthed from ancient Royal burial grounds beside Oslo Fjiord. They were interred there more than 1100 years ago, with their royal owners, for the journey into the next life. These Royal Vikings were clearly not giants (like my friend from Onkel Donald’s on the previous evening) as their vessels are tiny. Staying with the maritime theme, we move on to the Kon Tiki Museum, a place we Polynesians can relate to. 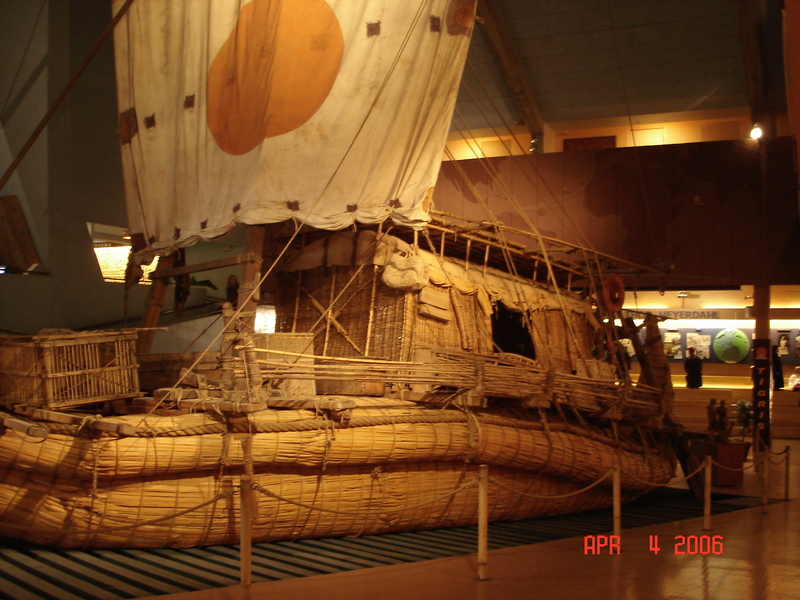 After all, didn’t Thor Heyerdahl follow the same Pacific stars, catch the same winds and throw himself on the mercy of the same tides as our sea-faring ancestors and in a similarly flimsy craft? In contrast, our last museum call is at the Fram, resting place of the world’s strongest ship. Built in 1892, it has travelled further North and South than any other ship in history. It was used for three great polar expeditions first by Fridjof Nansen, from1893-1896, then by Otto Svendrup, from 1898-1902 and lastly by Raold Amundsen, from 1910-1912. Back in town, with only a few hours left of my last Oslo day, I dash up Universitetsgate to the National Gallery. Oslo’s National Gallery has a wonderful collection of sculptures (including Rodins), Norwegian paintings from the Romantic Period and last but by no means least Edvard Munch’s unforgettable The Scream. This museum also has a very beautiful, 19th century French designed downstairs gallery, with marble pillars and sculpted ceilings. It is now a café and here I sip coffee and munch a very good Norwegian pastry while reflecting on the day’s amazing sights and on my wonderful Oslo experiences.